Motivations, challenges and formal matters for the regular citizen starting a business. WHAT comes to your mind when you think of Finnish start-ups? Maybe Rovio and Angry Birds. Or maybe a couple of guys in their twenties becoming millionaires overnight by inventing a ground-breaking mobile phone game. Or the avalanche of IT initiatives developed by former Nokia employees. Becoming an entrepreneur is not about reinventing the wheel, but, like any other job, putting your talents to work. Finnish and Swedish, except where indicated. www.yrityssuomi.fi: Service coordinated by the Ministry of Employment and the Economy to help aspiring entrepreneurs and businesses that are already running. 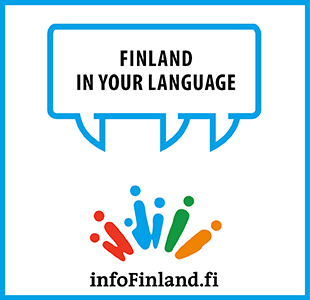 www.prh.fi: Public register that contains official information of businesses all over Finland. Detailed information for the registration of new businesses, associations and foundations. 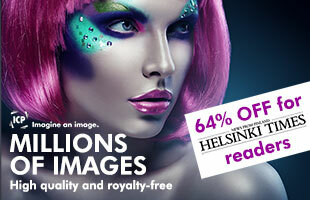 www.ytj.fi: Information on the currently valid Trade Register and Tax Administration entries for any company. You can also change your company’s address and contact details online in the BIS Service (this latter service is available only in Finnish and Swedish). www.perustayritys.fi: Free, easy, fast and reliable online service for setting up the basic documents, bank accounts and insurance policies needed to start a business. www.tartupsauna.com: Founded in 2010, it is a non-profit organisation for startups and aspiring entrepreneurs in Northern and Eastern Europe and Russia, with the aim of implementing a blooming startup ecosystem and a pay-it-forward culture in the region in order to make it the best place to be a startup. Information available only in English. Provided that you have or are willing to nurture the attributes listed before, you should now choose what kind of business you will establish. Depending on the magnitude of your operations, the capital you require to start and how many partners you will have, among other things, these are the main forms of enterprise allowed by the Finnish authorities: sole trader; general partnership; limited partnership; limited company; co-operative; and branch of a foreign enterprise. In Finland, limited liability company and sole trader name are the most common types for new businesses, followed by general partnership and limited partnership. Small businesses have been regarded by many, including US President Barack Obama, as “the backbone” of a country’s economy. The case is no different in Finland, as a study by the University of Turku states. The research shows that 55 per cent of Finnish adults, particularly the highly educated, perceive good opportunities for entrepreneurship in the country. Not surprisingly, out of the 300,000 businesses that exist in the country, roughly 98 per cent are small and medium-sized enterprises, according to Harri Jyrkiäinen, Chairman of the Finnish Association of Small Businesses. Nani Härkonen is the owner of one of these small initiatives, Nani Annette Photography. “I became a private trader already in early 2011. At that time I had a full time job in an NGO, but when my business grew quite a bit in the last quarter of 2011, I knew I had to choose”, says Härkonen. “I decided to jump.” Her talent hasn’t gone unnoticed: she was recently awarded with The Best Photograph of Animals prize at the Baltic Photo Contest 2013.